Spring 2019 Registration is now open!! Families registering multiple players will receive a $5 discount per kid after the first child. You are now able to order player uniforms for In-House AND Travel during the online registration. Be sure to select each players size within each registration! 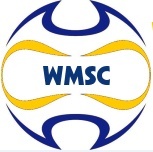 Please see the step by step instructions at www.westmifflinsoccerclub.com for more information about how to do so. In-House uniforms will include 2 shirts, shorts and socks. Travel uniforms will only include the 2 jerseys but shorts and socks will be made available to purchase before the season if needed. Uniform charge ($30 for in house players and $26 for travel) will be automatically added to ALL registrations. If you are NOT ordering uniforms for a player, you will need to "un-check" the uniform charge box on the final screen where it gives you a run down of all your charges before submitting payment for any and all players that you DO NOT want to order a uniform for. Unfortunately there are no number requests for in-house uniforms. Travel number requests will be accepted after teams are formed in late July. Any U11 (birth year 2008) or younger TRAVEL player that would also like to play in house, should be sure to register as a TRAVEL player and then email TAJ240@HOTMAIL.COM to be included with the In-House program. If you have any children that have played in the past with PA West, you already have an account in the Affinity System. Please use the "forgot password" link on the left navigation to retrieve your login information. If you are a new player this season then please use the create new account option. If you have any questions please use the "Tech Support Contact" link on the left lower corner of your screen.